Eric Schmidt is executive chairman of Google, where he served as chief executive officer from 2001 to 2011. A member of the President’s Council of Advisors on Science and Technology, Schmidt also chairs the board of the New America Foundation and is a trustee of the Institute for Advanced Study in Princeton, New Jersey. 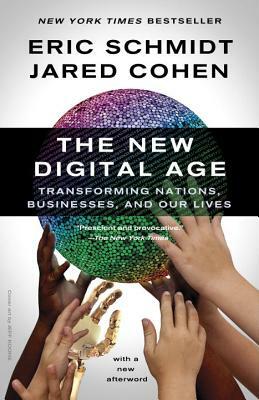 Jared Cohen is director of Google Ideas and an Adjunct Senior Fellow at the Council on Foreign Relations. He is a Rhodes Scholar and the author of several books, including Children of Jihad and One Hundred Days of Silence. He is a member of the Director’s Advisory Board at the National Counterterrorism Center.